On June 6th CSC is organising the biannual RDA Finland seminar. 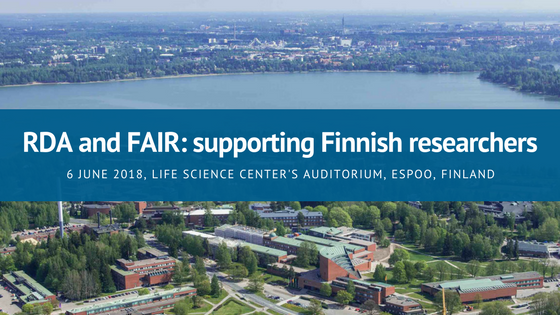 This time the theme of the get-together event is "RDA and FAIR: supporting Finnish researchers". The event will be opened by a basic introduction to the Research Data Alliance for potential new participants, after which the event will focus on the recent development of FAIR and what will take place at a national level on the open science scene. The audience will also be informed on how RDA activities are supported at a nationwide level.